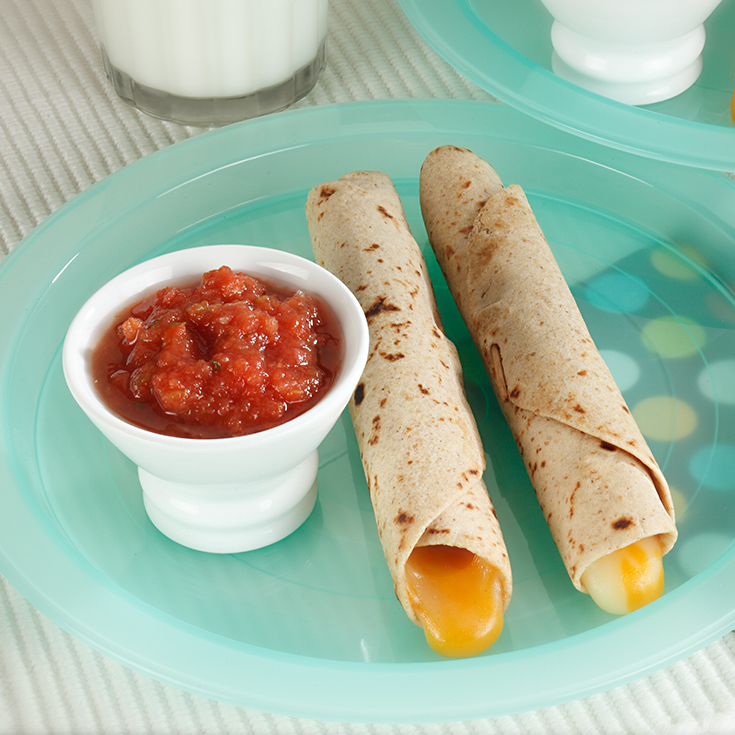 Roll one piece of cheese in a tortilla. Fasten with a wooden pick; brush lightly with butter. Cook on heated griddle, rolling to cook evenly until cheese is melted. Or, microwave, seam side down on high, 15 seconds or until cheese is softened. Serve with salsa or tomato sauce.